The Peugeot 2008 for the ’66’ plate comes packed with new features. The Peugeot 2008 has been revamped in time for the ’66’ plate demand in September with a wide range of attractive features. 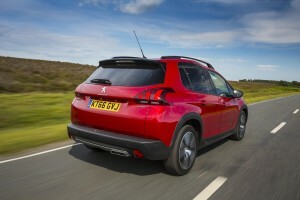 The 2008 is already one of the best SUVs of its type and Peugeot is predicting a strong demand for its new model. Indeed, the Peugeot 2008 has proved popular around the world and the new version has led to a 16% sales rise. To help boost its popularity in September, Peugeot is offering £850 off the price. The new Peugeot 2008 made its debut in the UK showrooms in June and it’s already shifted more than 40,000 units in the UK and more than 500,000 around the world since it was launched in 2013. The revamp has a range of refreshments including some exterior styling tweaks including new wheel arches extensions and a new vertical front grille. There’s also new scuff plates, for some models, and the 2008 has been designed for robust use and is a great choice for families. Alongside the popular models, Peugeot has released a new GT line for the 2008 which features a sporty theme. Owners will find a new compact sports steering wheel to help offer precise steering and improve its manoeuvrability and there’s a new 7-inch multifunction colour touchscreen with everything the driver needs. There’s even a head-up instrument display so the driver does not have to take their eyes off the road to see the car’s vital information. It helps that the Peugeot 2008 comes with the firm’s excellent Grip Control which is an adaptive traction system and effectively works as all-wheel drive across a variety of surfaces including snow and mud boosted by the all-season tyres. Among the features for the revamped Peugeot 2008 are reversing camera, parking assistant – which is quite usual for the segment – active city brake and MirrorScreen, which is for a mobile phone plugged into the system. 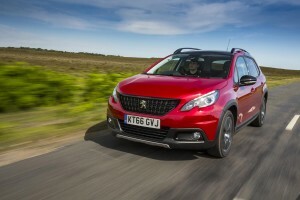 Prices for the new Peugeot 2008 starts at £13,615 with a choice of three petrol engines and three diesels with a choice of a manual five-speed or six speed manual gearbox as well as an automatic transmission option. There’s no doubt that the Peugeot 2008 has been a big success for the firm and the 2016 restyled new Peugeot 2008 will help underpin its popularity as a small SUV that offers versatility and its good looks in a demanding segment. This entry was posted in Car Leasing, Cars, Crossover Cars, New Cars and tagged Peugeot 2008 by Steve Lumley. Bookmark the permalink.